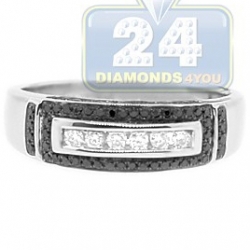 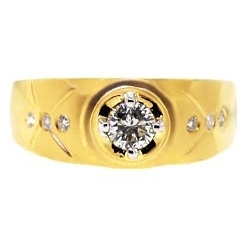 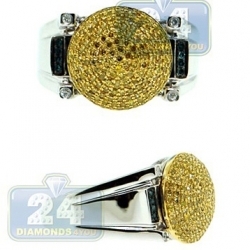 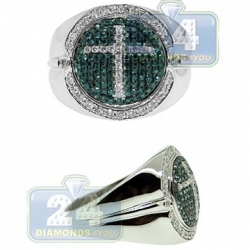 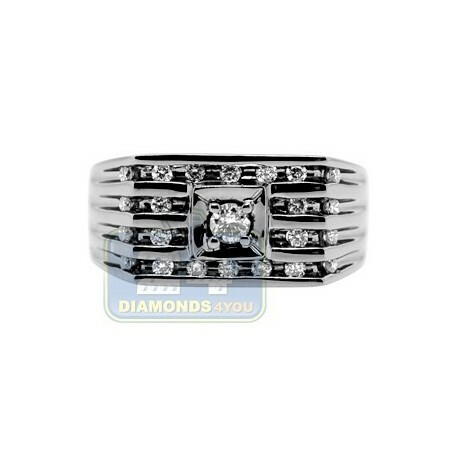 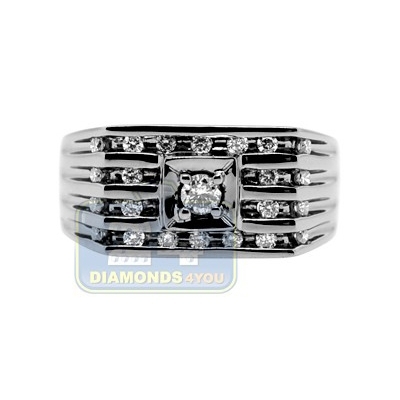 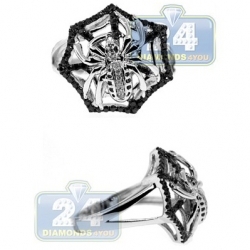 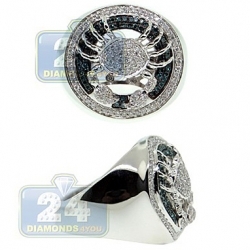 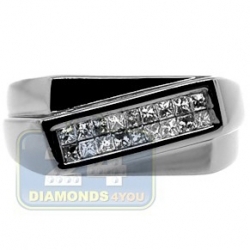 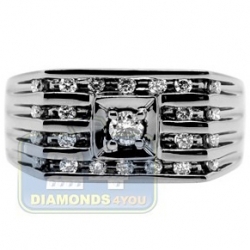 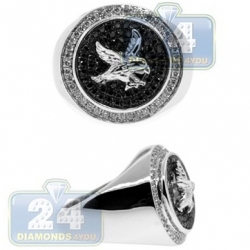 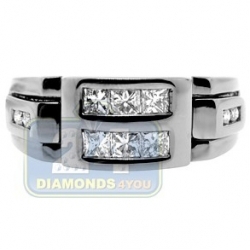 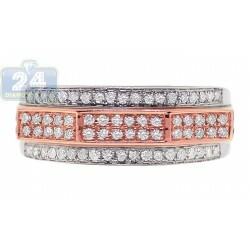 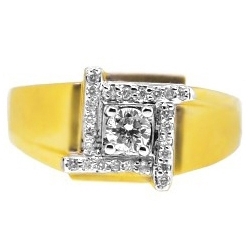 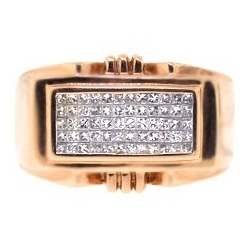 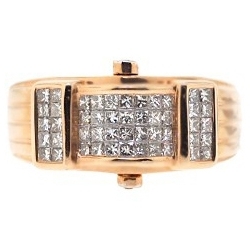 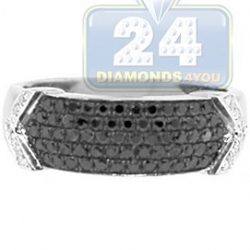 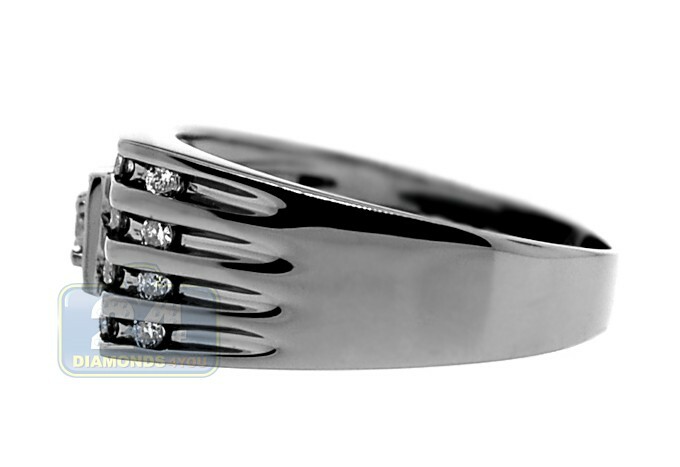 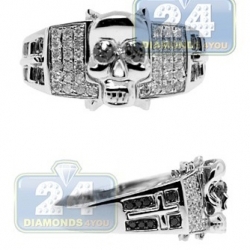 This impressive men's ring will make everyone look twice! 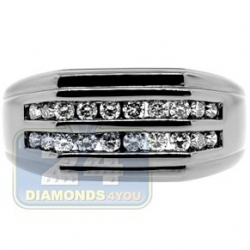 Its generous size is masterly enhanced by a large icy center round cut diamond surrounded by smaller precious stones. 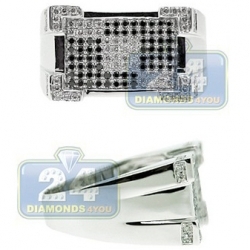 All round cut brilliants are weighting 0.48 carat in total and have G-H color with SI1-SI2 clarity. 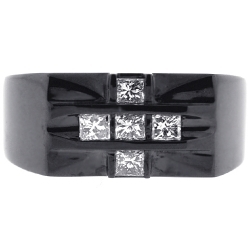 The black rhodium finish makes the piece look so handsome and unique!